Who looks after these storm? The Indian Meteorological Department (IMD) is the official Regional Specialized Meteorological Centre in the Sub-continent. IMD’s responsiblity is to issue cyclone warning to the South Asian states. The Arabian sea is abbreviated ARB and the Bay of Bengal is abbreviated BOB by the Indian Meteorological Department. Failure of Indian Meteorological Department! 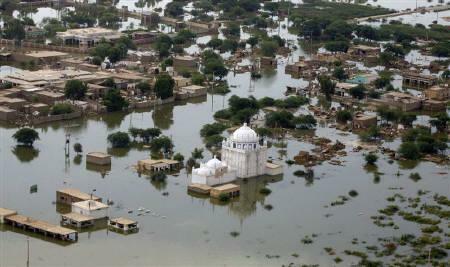 The IMD has also been criticised by the World Meteorological Organization (WMO) for its poor performance in 2007. 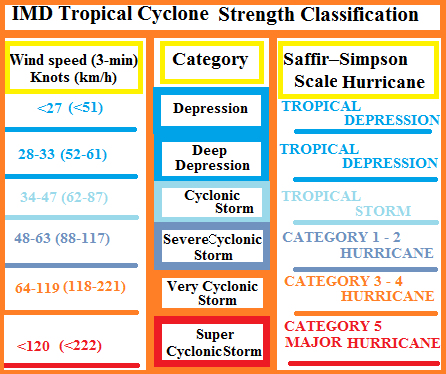 In June 2007, Cyclone Yemyin was about to hit Balochistan region of Pakistan as a weak category-1 hurricane with winds upto 75 mph on the Saffir–Simpson Hurricane Scale (SSHS) but according to the IMD it was a mere tropical depression with winds upto 35 mph. Before 2004, tropical cyclone were not named in the North Indian Ocean they were given names like ARB 01 or BOB 01. In 2000, members of the WMO agreed that in September 2004, tropical cyclones in the Northern Indian Ocean attaining gale-force winds would be given names to avoid confusion and have a better data. Hence, the first named cyclone was cyclone Onil that created havoc in Karachi and Hyderabad. Where do cyclone get these names? IMD has the mandate to provide weather advisories to seven countries that is Bangladesh, Maldives, Myanmar, Oman, Pakistan, Thailand and Sri Lanka besides India. 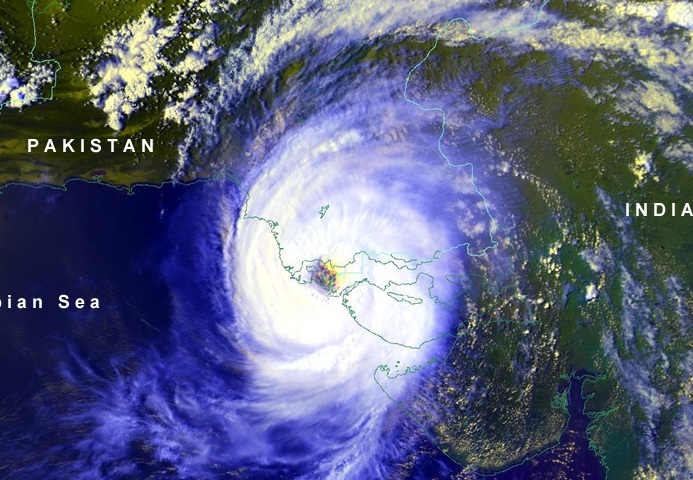 In 1999, the first cyclone of that monsoon season formed in Arabian sea on May 16, This cyclone made landfall near Karachi, Pakistan killing 6400 people. It was a major category-3 hurricane. In 2001, a major category 3 hurricane formed in the Arabian sea on May 21. It made landfall near Gujarat province in India, killing 900 people. In 2002, a mere cyclonic storm formed near Oman on May 6 in the Arabian sea. In 2003, a category-1 hurricane developed in the Bay of Bengal on May 10. In 2004, on May 5, a cyclonic storm developed in the Arabian sea near western Indian coast. 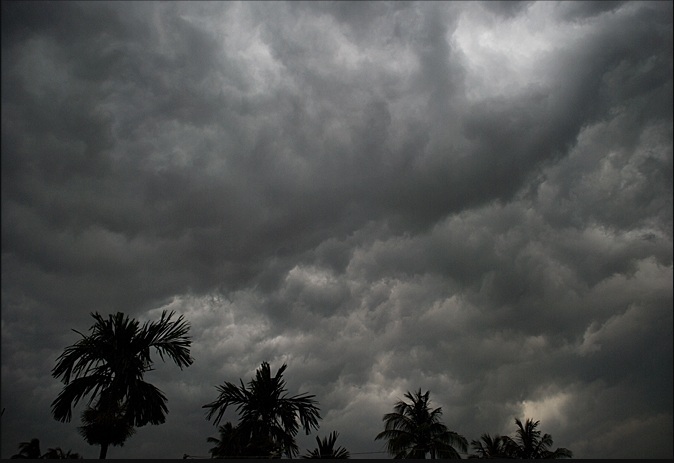 In 2005, before the onset on monsoon a tropical depression formed in the Arabian sea on June 21. In 2006, a category-4 hurricane, cyclone Mala formed in the Bay of Bengal that battered the Myanmar coast. The storm was responsible for 22 deaths in the country. Mala formed on April 25. In 2007, a depression formed in the Bay of Bengal in June. 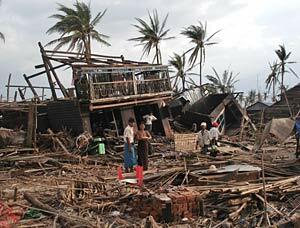 In 2008, A deadly category-4 hurricane, cyclone Nargis shattered the Myanmar coast in the Bay of Bengal. The storm formed on April 27. In 2009, Cyclone Bijli formed in April and made landfall over Bangladesh. In 2010, Cyclone Laila formed in the Bay of Bengal in May and made landfall near Eastern India. Due to La-Nina there could be no cyclones in the Arabian sea but there is always a possibility of a tropical depression to develop in this sea before the monsoon. The Bay of Bengal will usually produce more cyclones than Arabian sea. Normally 4 to 6 cyclone are formed every year in the North Indian Ocean. Mid-May and June is the peak month for tropical storm to develop in the Arabian sea, So lets wait for the monsoon and their cyclones. ← Tornadoes outbreak unleashes wrath on US!! After how many years La Nina or EI-NINO occurs? Is there a chance of cyclone for Karachi this year? If yes, then how much percent, and in which month? Not this year..because of La-Nina..I am 70% sure Karachi will not see a cyclone this year but tropical depression (early stages of cyclone) cant be ruled out! One more thing, can La-Nina be end before the time? In simpe words..La-Nina brings very wet and cool weather to the Sub-continent (2010 Pak floods)…Cyclones want hot weather to form..In 2010, the “dieing”El-Nino helped cyclone phet to born..But after June La-Nina took over, which bring floods while El-Nino brings drought and dry weather..
till which date we hav to wait to understand there will be a chance for depression or ARB 01?